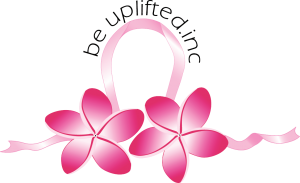 At Be Uplifted Inc we are always reminding breast cancer patients of the importance of looking after themselves during treatment. In our article, Looking After Yourself During Chemo, Be Uplifted Inc Co-Founder and President Wendy Paterson talked about being kind to yourself when you are low. These little breaks are so important at a time like chemotherapy when your body is going through so many changes. Depression and anxiety are common for women who are being treated for breast cancer. It has been found that up to 50% of women with early breast cancer may experience anxiety and/or depression in the year after diagnosis, and 15% of women may still experience symptoms of depression and anxiety in the fifth year after diagnosis. patients live with the possibility of cancer recurrence. 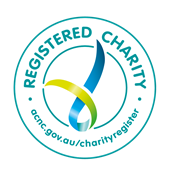 Cancer Australia confirms that anxiety and depression are common feelings after diagnosis and treatment for cancer. If you are feeling low for more than two weeks, and your sadness is causing you to withdraw or is interfering with your daily life, you may be suffering from depression. poor appetite (although this may also be a side effect of treatment). Likewise, being overly worried, or having constant repetitive thoughts and feelings take over that cause you to feel overwhelmed or sleep, feel or avoid social situations may indicate you anxious. feeling a constant need for reassurance. 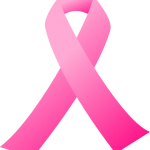 Breast cancer is a trying time, emotionally and physically. If you are concerned that you are depressed or anxious, talk to a counsellor or a GP about how to deal with your thoughts and feelings. Karen Gray from Northwest Counselling will be a guest speaker at Be Uplifted Inc’s 2018 Information Symposium on 20 August 2018. Karen has completed a Masters of Counselling through QUT in 2012, and has post-graduate nursing qualifications in Oncology and Palliative Care. Karen believes individualised counselling is vital when providing psychological support for women during a breast cancer journey to ensure they have the appropriate skills to navigate the challenges of their breast cancer diagnosis brings. Her qualifications, plus her experience as Oncology Nurse mean that when she is offering her counselling services Karen is able to offer an empathic understanding of her patients circumstances, having first-hand knowledge of how a breast cancer diagnosis impacts not only on the physical welfare for an individual but creates challenges that may impact on the psychosocial and emotional aspects of a person’s life. Register to attend the Symposium. If you are feeling suicidal or in danger, talk to someone you trust immediately.